Now you all know I don’t claim to be a health nut (in fact, far from it), but for some reason Raisin Bran has always been a favorite cereal of mine. Something about those slightly sweetened flakes and sugary raisins is just perfect breakfast deliciousness. Nevermind that the word bran is actually in the name of the cereal, it has never deterred me from enjoying it. So a bran muffin that gets its bran from Raisin Bran? It might be the only bran muffin you’ll ever find me endorsing. So you know these must be faaaaabulous for me to be sharing them. And they are. How fun, right? 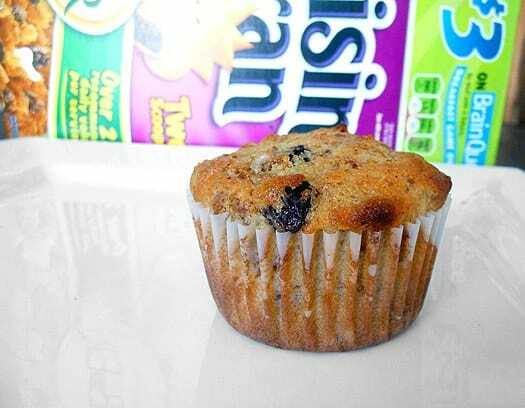 Cereal in a muffin. Love it. 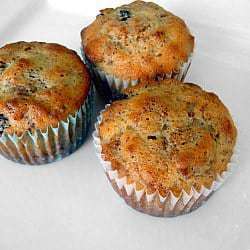 One of the best things about these muffins is that they get even better the longer you let the batter sit before baking. Now, I need to give a head nod to my Chief Culinary Consultant on this because we have differing opinions about the best way to eat cereal. Me? I use just enough milk and eat it immediately so that the cereal is still crunchy. I loathe soggy cereal. But he, on the other hand, covers the cereal with milk and lets it sit on the counter for a good 15 minutes so that it gets nice and soggy. Well, in this recipe, he definitely has the winning technique. The longer you let the batter sit, the softer the cereal in it becomes, and thus, more integrated into the muffins it is. Which increases the yum factor. If you bake the muffins right away, make sure to let the batter sit out on the counter for about 45 minutes before baking. If you want to wait, you can store the batter in the refrigerator for up to 3 days, and it will get even better as it sits. P.S. I think this would be fantastic to try with something like Cinnamon Toast Crunch as well! 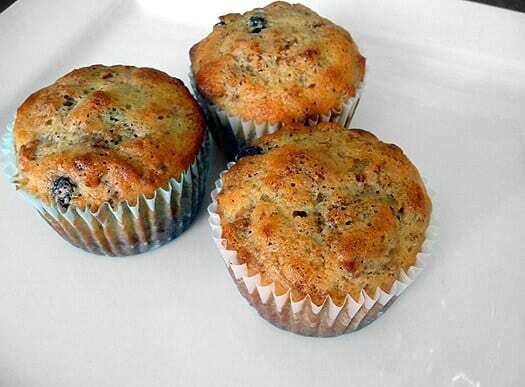 These delicious sweet muffins were made for snacking! 1. 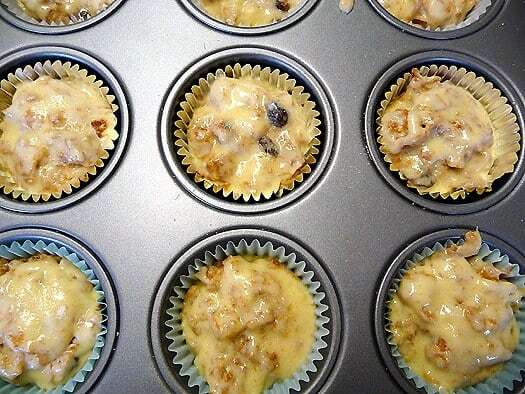 Preheat oven to 375 degrees F. Line a muffin tin with liners, or spray with non-stick cooking spray. 2. In a large bowl, whisk together the flour, baking soda, salt and sugars. Stir in the cereal; set aside. 3. In a medium bowl, whisk together the vegetable oil, egg, buttermilk and vanilla extract. 4. Pour the wet ingredients over the dry ingredients, and stir until completely combined. Allow the mixture to sit at room temperature for at least 45 minutes (this allows the cereal to soften in the batter). If you don't want to use immediately, you can refrigerate in an airtight container for up to three days. 5. When ready to bake, divide the batter between the 12 muffin tins. Sprinkle the tops with granulated sugar. 6. Bake for 15 to 20 minutes, or until a thin knife inserted in the center comes out clean. Store in an airtight container at room temperature for up to two days, and then in refrigerator for up to another week. Not sure why, but the batter as written was EXTREMELY dry… I tried to fix it by adding some yogurt, but then they were too moist. What went wrong? Hi Emily, Did you allow the batter to sit for 45 minutes as directed? That helps to break down the cereal and adds to the moisture. I don’t actually like raisin bran but this is the second time, and not the last, that I’ll make these muffins. I use yogurt for the buttermilk and they are wonderful. Hmmm…I have not made these before and I am considering making these. How about using (melted) butter instead of veggie oil? What changes will need to be made? Also, can I mix the batter and store in the fridge or counter over night and bake in the morning? Do I need to let the dough get to room temp before baking? Your advice would be greatly appreciated. Hi John, I would not recommend substituting melted butter for the vegetable oil, as it will change the texture of the muffins. I have not tried refrigerating the batter overnight and then baking, so I can’t guarantee how they would turn out, but if you try it, I would refrigerate the batter, not leave it out. Mixed a batch as prescribed in the recipe tonight and am leaving in the fridge for about 8 hours. The plan is to bake them in the morning for breakfast. Prep time was a little less than 15 min, used the muffin method so minimum mixing by hand, about 14 seconds, let it sit for 15 min on the counter then into the fridge. Will let you know how it turns out. How are the Penguins looking this year? Flashes of awesomeness, but riddled with injuries. We played our game tonight with a ton of call-ups. Hopefully we can get healthy after the holidays! Did not turn out as well as I expected but they were delishious. Well worth the effort. Problems were due to bakers errors in technique not the recipe. Did not get much rise out of the muffins, or at least not as much as I had expected, and I expected a deeper browning. Getting a newer batch of baking soda next time I try this and I will not refriderate. I figure it will be best to make sure I have the technique down first before trying the extended rest. Still early in the hockey season, I’m sure the ‘guins will finish strong. Dispite the Sykora name, I’m a Wings fan. You can avoid the waiting period if you put all your liquids on top of your cereal first and then start your dry ingredients in another bowl. The cereal gets sufficiently soggy pretty quick this way. My husband loves raisin bran cereal. We both love these muffins. I added extra raisins. Sinfully healthy. I’ve made this recipe with reg bran flakes and then this morning with banana nut crunch cereal. I added cinnamon to both. DIVINE. my four, two and one year olds gobbled them up. thanks for the recipe! This is lucky to come across this. I was trying to find a recipe for raisin bran muffins where I had everything and this meets the bill. I am looking for a raisin bran (crunch!) type muffin recipe to try out tomorrow and I kind of like the look of this one. However, I have only brown sugar and regular milk. What do you think? Do you think this would still taste good? Thanks and I think I’ve just tried to give it a whirl, so thanks again! Hi Rachel, Great! Would love to know what you did to adapt and how you liked them! Enjoy! Made the batter for these last night and baked them in a mini muffin tin this morning for breakfast. Delicious! Kept coming back for “just one more” several times =). Thanks for the easy, tasty recipe. 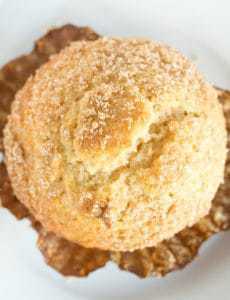 I made these muffins last night, and gave them to my daughter and husband to try. They don’t like Raisin Bran at all, so I didn’t tell them what was in them (or the name of them, of course!). My daughter loved them and thought they were apple muffins. My husband also loved them and thought they were cinnamon muffins. Only after they tasted them and confessed their love for them, did I let them in on the main ingredient. 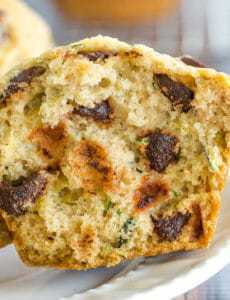 Great recipe, great muffin!! I had raisin bran for breakfast this morning (and love plenty of milk in my cereal)! 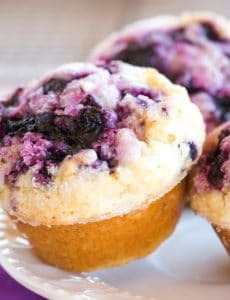 It’s my turn for Friday Breakfast at work this week, and I think I’ll be giving these muffins a try. Thanks for sharing!